Do You Remember Playing Spyro the Dragon? 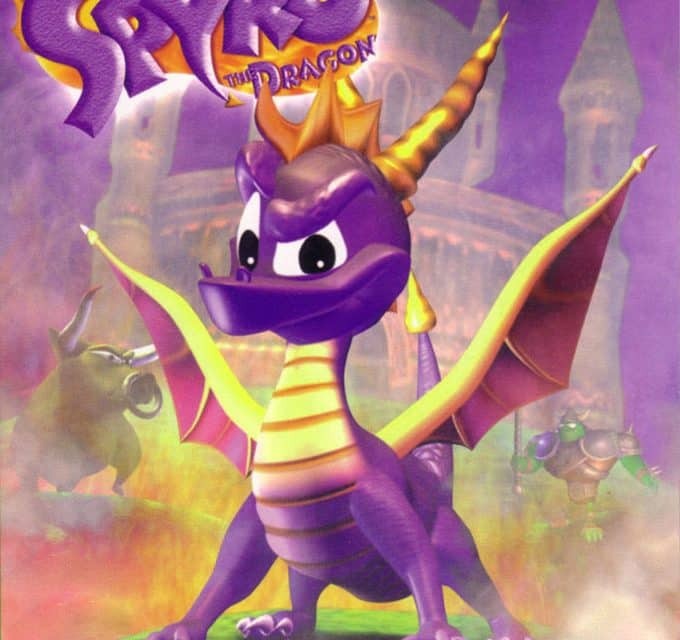 People who remember the PlayStation should remember Spyro the Dragon. After all, the platformer series was so popular at one point in time that the titular character was considered one of the mascots for the console, which was rather impressive considering that his counterparts were Mario for the N64 and Sonic the Hedgehog for the Sega Saturn. 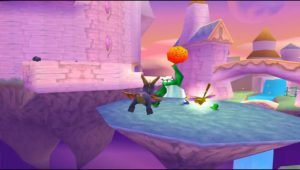 However, while both Mario and Sonic the Hedgehog have remained successful at the head of their respective series, Spyro the Dragon has met with a crueler fate, as shown by the fact that the last title in the series came out in 2008. Still, there is hope. It has been a long time since the last Spyro the Dragon title came out, but there are still a lot of people out there who remember the series with fondness. For proof, look no further than the fact that their interest has resulted in the creation of the Spyro Reignited Trilogy, which is a collection of remasters for the first three installments in the Spyro the Dragon series that is set to be released in September of 2018. It remains to be seen whether the Spyro Reignited Trilogy will prove to be successful or not, but if it is, it is not unreasonable to believe that could increase the chances of a continuation to the series as a whole being made at some point in the future. 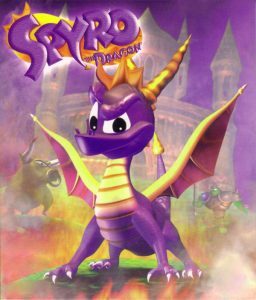 Of course, one of the installments included in the Spyro Reignited Trilogy is Spyro the Dragon, which is the title that started up the series as a whole in September of 1998. This was the title that managed to win rave reviews from the critics based on a combination of its graphics and its replay value, which was paired with tremendous commercial success in the form of having managed to sell close to 5 million units. However, while Spyro the Dragon was an excellent title in its own right, there can be no doubt about the fact that it is missing the innovations that have been made by its successors as well as other platformers since its release, seeing as how it came out close to two decades ago. Wood You Play Spyro the Dragon in the Present? As such, there are bound to be people out there who are wondering whether they should consider playing Spyro the Dragon or not in the present. To be fair, there are both reasons that interested individuals should and reasons that interested individuals shouldn’t, meaning that in the end, each person will have to make up their own minds based on the exact factors that matter to them the most. For starters, the entertainment value of a platformer isn’t reliant on its graphics. Furthermore, the entertainment value of a platformer isn’t reliant on the complexity of its mechanics so much as the implementation of a solid and well-thought-out set of mechanics. 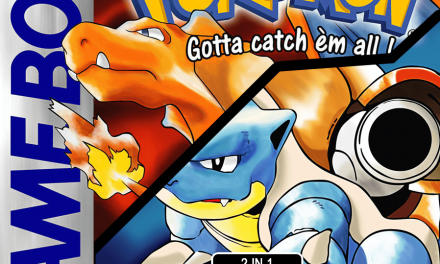 As a result, there are plenty of platformers from the past that can still provide interested individuals with a fair amount of fun when playing through them. On top of this, playing Spyro the Dragon might be useful for people who want to get a better understanding of the PlayStation as well as its creator Insomniac Games. After all, Spyro the Dragon was considered one of the most important mascots for the PlayStation at one point in time, with its main competitor being Crash Bandicoot. Likewise, while Spyro the Dragon wasn’t Insomniac Games’s first game, it was the second. 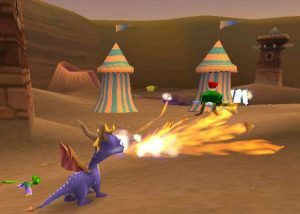 As a result, there can be no doubt about the fact that it had an enormous effect on how it turned out, particularly since Spyro the Dragon launched a series of games that lasted until 2008. With that said, while Spyro the Dragon was an excellent example of a well-made platformer that was so successful that it managed to start up its own series, it wasn’t anything particularly special in the grand scheme of things in the video game industry. 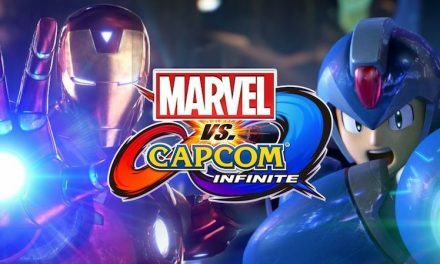 As a result, it might be more worthwhile to play it for its entertainment value than for any nebulous intention of getting a better understanding of video games as a whole as well as the people who play them. Unfortunately, there are a lot of video games out there that offer a wide range of fun for a wide range of people, meaning that Spyro the Dragon has a fair amount of competition in this regard to say the least. How Can You Play Spyro the Dragon in the Present? There is one more point that can pose a problem for people who might be interested in playing Spyro the Dragon. Simply put, the game came out in 1998 but has never had a rerelease on a platform besides the PlayStation. As a result, people who want to play the game will have to find not just a copy of Spyro the Dragon but also a PlayStation on which to play it, which is a process that can involve a fair amount of hassle because of how old and out of date said console happens to be. As a result, even if someone is planning to replay Spyro the Dragon, it might be best for them to wait for the release of the Spyro Ignited Trilogy, which is set to be released on not just the PlayStation 4 but also the Xbox One. Admittedly, this might be a problem for people who don’t own either one of those consoles because buying one of them for the sake of playing a single game isn’t worth it, but for people who already own either one of them, this is the simplest and most straightforward legitimate solution by far. Otherwise, interested individuals don’t really have a lot of other legitimate options, which is something that will likely deter those who are somewhat intrigued by the idea of playing through Spyro the Dragon but are not particularly enthusiastic about jumping through so many hoops for this one thing. Summary Spyro The Dragon is still a solid 3D platformer and worth playing for it's fun gameplay (even though Spyro abilities are limited). Give this game a shot. NextCould Bring To Light Innovate The Horror Genre?